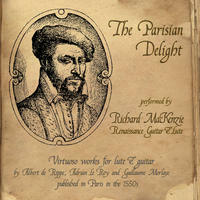 Richard MacKenzie: Virtuoso english lutenist and guitarist. 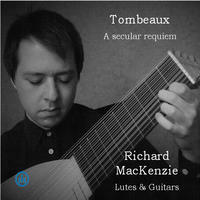 Lutenist Richard MacKenzie is rapidly gaining recognition as a soloist and collaborative artist on renaissance and baroque lutes, renaissance and baroque guitars, vihuela, orpharion and theorbo. He is currently a permanent member of multiple ensembles, including; Chordophony (Europe's only professional lute quartet), Charivari Agréable (dir. Kah-Ming Ng), Oxford Baroque (dir. Jeremy Summerly), The Portrait Choir (choir-in-residence at The National Portrait Gallery), Lyrica, 크레이지슬롯 사이트Galliarda, Balisiensis and Mascherata, and his many collaborations include Ex Cathedra (dir. Jeffrey Skidmore), Linden Baroque, The Marian Consort, Cöthen Baroque, New London Orchestra (dir. Ronald Corp), The Madrigirls, Ars Nova, The Orchestra of the Age of Enlightenment, Royal Academy Opera and Baroque Orchestra (dir. Jane Glover), The Bristol Baroque Soloists, The Yorkshire Baroque Soloists (dir. Peter Seymour), His Majestys Sagbutts and Cornetts, I Fagiolini (dir. Robert Hollingworth), Solomon's Knot, The BREMF Renaissance Orchestra, The MUSARC Choir, Fiori Musicali featuring James Bowman, Viaggio Musicale (University of Oxford ensemble, dir. Richard MacKenzie), The City Waites (dir. Lucie Skeaping), The Apollo Baroque Consort, Vignette Productions, The Amadè Players, The Brook Street Band, Nonsuch Dance Company and Musicians, Vespri Segreti, Sounds Baroque, The North Cotswold Chamber Choir (dir. Sarah Tenant-Flowers), The Fieri Consort, Il Festino, and Oxford's New Chamber Opera (dir. Michael Burden, mus. dir. Steven Devine). 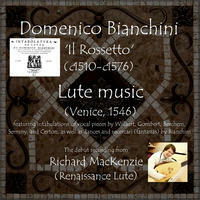 In April 2012 Richard assistant-directed the European Lute Orchestra's appearance at the Teatro Olimpico, Vicenza. 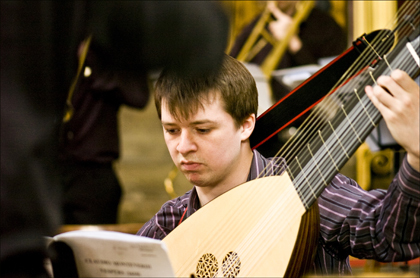 Summer 2012 saw Richard working as a musician (medieval lute, cittern, tambourella, field drum) at Shakepeare's Globe for their production of Shakepeare's 'Henry V' (feat. Jamie Parker). Spring 2014 saw Richard return to Shakespeare's Globe as principal musician for the revival of Lucy Bailey's controversial production of Shakespeare's 'Titus Andronicus'. Music festival appearances include York Early Music Festival (twice), Lufthansa Festival of Baroque Music, Brighton Early Music Festival (BREMF) (twice), Festival van Vlaanderen-Antwerpen (AMUZ), Royal Greenwich International Early Music Festival and Exhibition (twice), London Handel Festival, Oxford Early Music Festival, Wilderness Festival, Clifton International Festival, Turl Street Arts Festival and Freemantle Music and Arts Festival. Richard has been broadcast on BBC Radio 3's 'In Tune' on multiple occasions, and he has appeared on BBC Two's 'London Calling' with Jools Holland (see Youtube video below). He is due to appear on the soundtrack of the forthcoming cinematic release 'Bill', featuring the cast of BBC television's 'Horrible Histories'. Richard will also make his dramaturgical cinematic and DVD debut upon the release of Shakespeare's Globe's 'Titus Andronicus'. In 2011 Richard completed a degree in music at The Queen's College, University of Oxford. Whilst studying at the university he was also a keen solo performer, performing seven solo recitals in some of the most diverse concert venues across Oxford. Presently he continues to occasionally study lute with the internationally renowned lutenists Jakob Lindberg and Jacob Heringman, having previously studied at Chetham's School of Music with Hugh Cherry and Martin Shepherd, a school where has was awarded three prizes, including those for 'Early Music' and for 'Academic Music'. In 2012 the Lute Society of Great Britain published his first edition, a critical edition and reconstruction of the ensemble works from Giovanni Battista Granata's Armoniosi Toni (Bologna, 1684). Richard also possesses diplomas in recorder and clarinet performance, and was principal clarinettist for the National Children's Orchestra in his youth. Richard is an experienced recorder, guitar, piano and academic music tutor, tutoring up to A-Level, and also tutoring ABRSM theory grades. 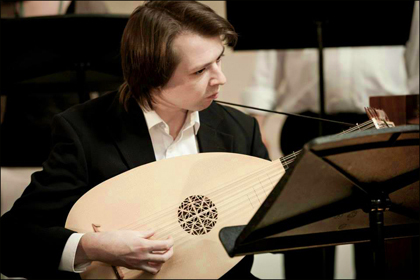 He has taught lute seminars and masterclasses involving members of the student community both at Trinity Laban Conservatoire of Music and Dance and the University of Chichester. He was also made a tutor on the NWEMF's summer school at the age of 17. Addionally, Richard has conducting and piano accompanimental experience, once directing a staged performance of Handel's 'The Choice of Hercules', and co-directing the Heanor Community Choir and Full House Orchestra. You can also find out more about Richard on his website. Richard MacKenzie lives in London, England. Tagged as: Classical, Renaissance, Instrumental, Composer: Adriano Willaert, Composer: Claudin de Sermisy, Composer: Domenico Bianchini, Composer: Jacquet de Berchem, Composer: Nicolas Gombert, Composer: Pierre Certon, Composer: Simon Gintzler, Lute.